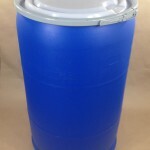 Our 55 gallon open top round plastic drum (item number VAN55OHBL-NA ) is food grade and water tight. 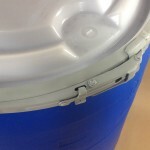 The body of the drum is blue and has a natural cover. 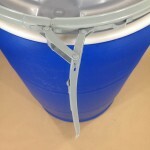 The cover is secured to the body of the drum with a lever-locking ring. 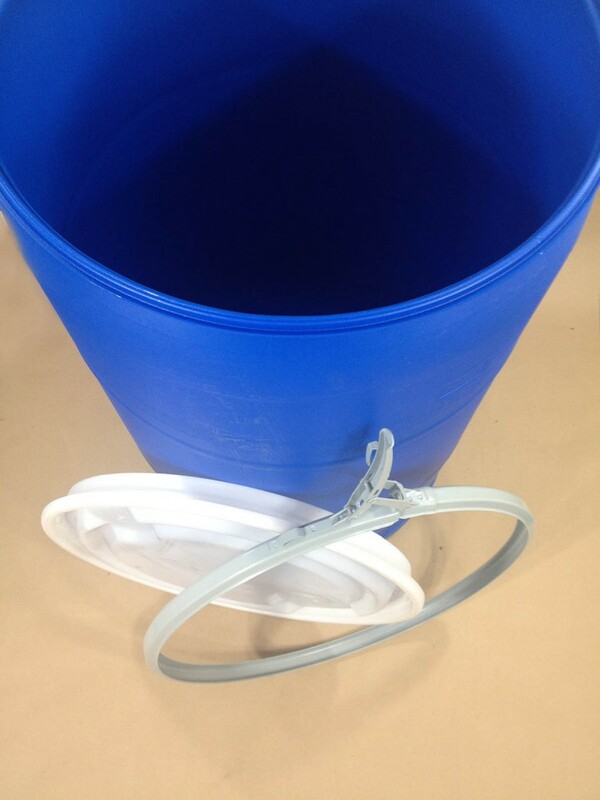 This drum has the following external dimensions: Width-22.7 inches Height-35.375 inches. 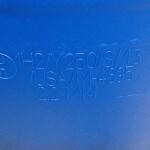 The drum has a UN rating of UN1H2/Y250/S for those interested in transporting hazardous materials. 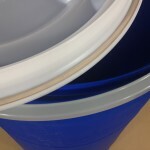 The weight of the drum is approximately 25 pounds. 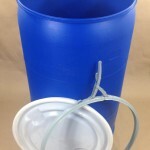 This same drum is available with a natural cover and 2 inch and 3/4 inch plugs. That is our item number VAN55OHBL-NA23.